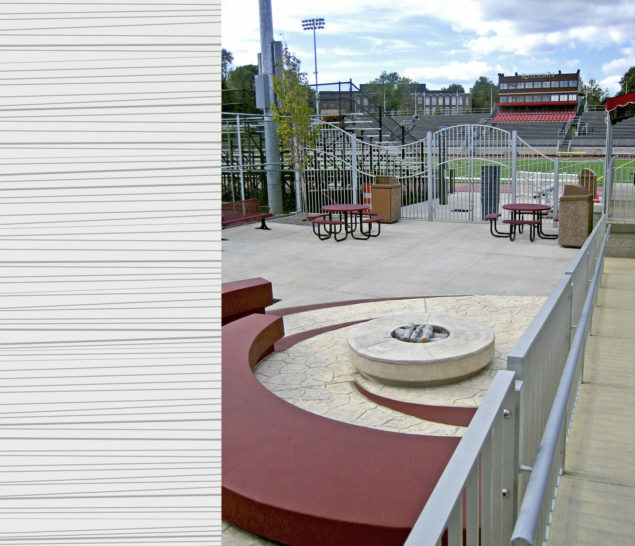 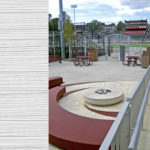 A variety of recreational, lounge, and group activity spaces creates an engaging environment that encourages student interaction and socialization. 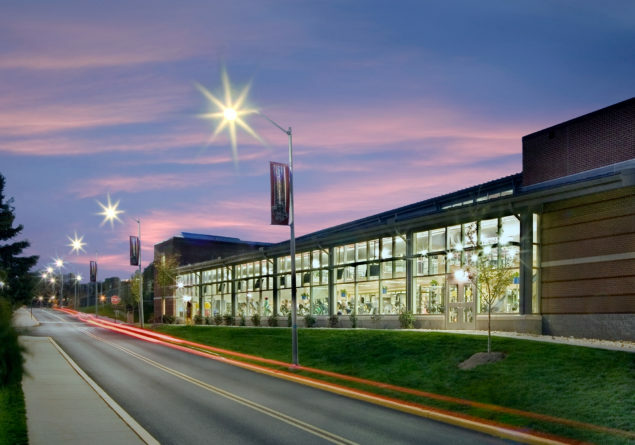 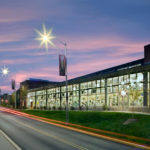 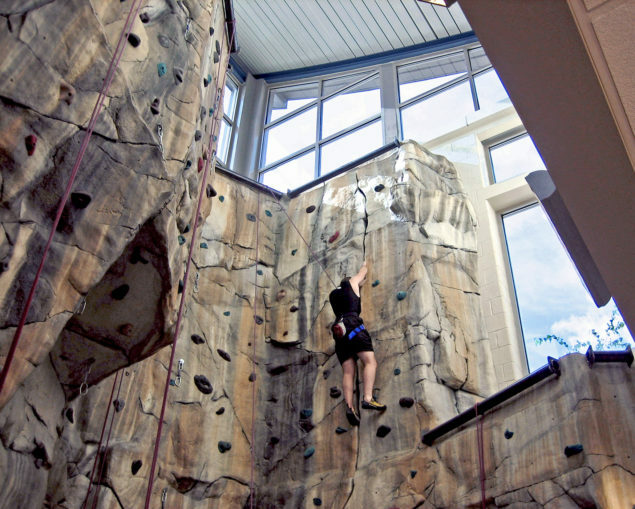 The expansive glass wall in the fitness center offers views of campus life and showcases activities in the building. 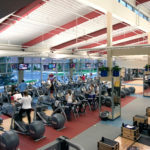 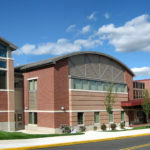 Recreational facilities include multi-purpose athletic courts, racquetball courts, and a fitness center with full cardiovascular, selectorize and free-weight equipment. 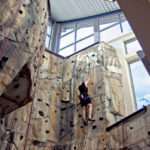 Additionally studios for aerobics, spinning, and other group fitness classes as well as a 30’ free form climbing wall and a 1/10 mile jogging/ walking track are provided. 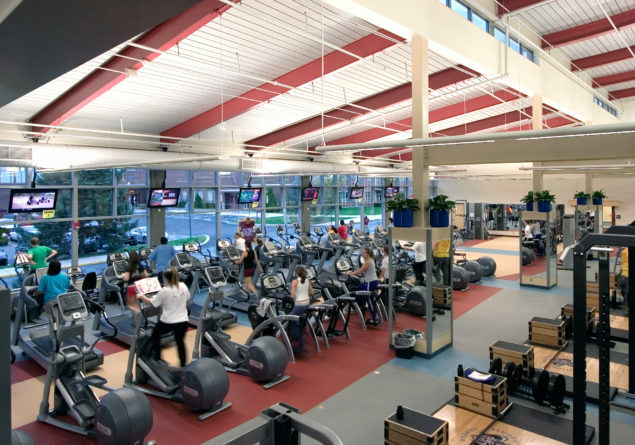 Exercise rooms are equipped as classroom spaces for athletics and physical education.